An original Williamson family shearers cottage now a much loved family beach cottage. Fantastic location close to the Surf Club and Williamson Park. 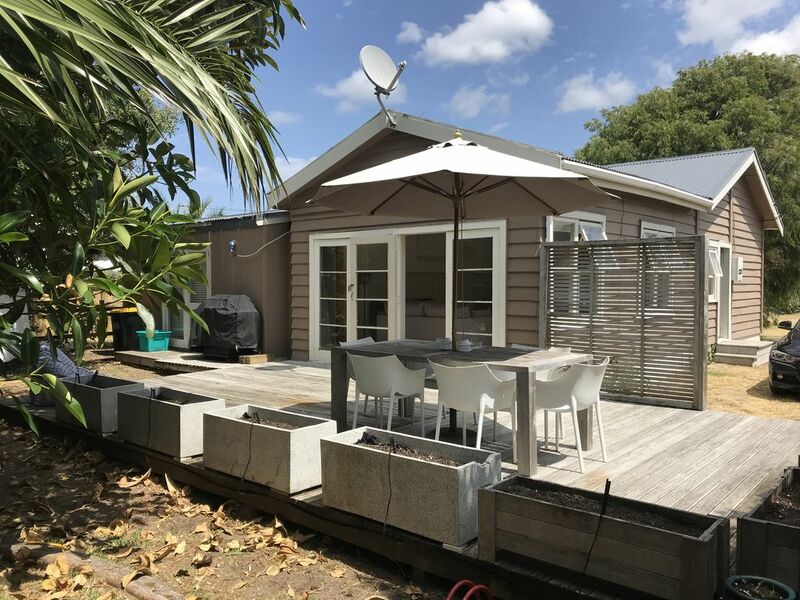 Includes: 1 Queen Bed, 5 x Single Bed, TV, Fridge/Freezer, Stove/Oven, Microwave, Dishwasher, Washing Machine, Gas BBQ, Outdoor Furniture, Bikes for tenants use, Surfboard, Skimboard, Bogie Board. NO Tents, enquire about Pets allowed. BYO Linen: Sheets, Pillowcases, Towels, T-Towels. Excellent location for Beach Hop and extremely comfortable beds!